From simple paypal tie-ins to fully fledged shopping cart systems, we can provide you with eCommerce websites to check all of your boxes, and more importantly your visitors - allowing you to take credit card payments through your site. A simple Paypal ecommerce tie-in can involve your current website, or a basic package from us. Users on the site can click on a button listed beside your product, and it will take them right through to a screen on the Paypal website. From there they can make a direct payment to your Paypal account for the product requested, and you will be sent an email to inform you of their purchase! 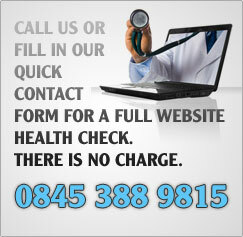 We also offer sites using Google Checkout. Full eCommerce shopping cart systems are more complex, involving systems similar to those that you will have seen on websites like Amazon. These allow users to browser an online catalogue of your products; adding, removing and updating their cart as they shop. When they are finished they are then able to make a direct purchase through your website using their credit or debit card. Do any of these options sound like what you're after? Fill in a no obligation, website quote request and we'll let you know what the minimum price is for your site, along with any optional additional extras which we feel may be of use to you. Our policy is to always offer you extras, not to push them onto you and add a charge to your website package. We want to make sure you get the website you want.